7. If Causeway was centered on the Mortuary Temple then the Eastern Boat Pit was excavated in the Causeway. If the Eastern Boat Pit respected the Causeway then the Causeway was not centered on the Mortuary Temple. 8. 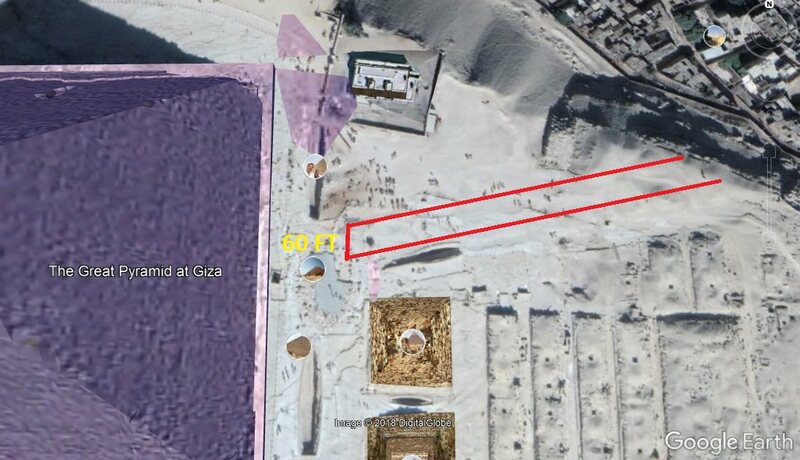 Satellite Pyramid G 7000X overlaps the Mortuary Temple by approx. 60 feet.